Two sisters. One incredible city. Unlimited possibilities. 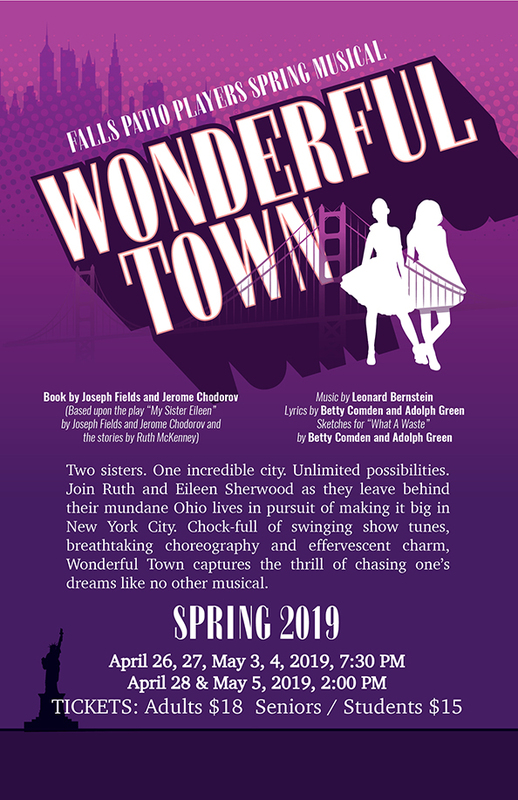 Join Ruth and Eileen Sherwood as they leave behind their mundane Ohio lives in pursuit of making it big in New York City. Chock-full of swinging show tunes, breathtaking choreography and effervescent charm. 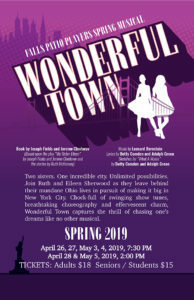 Wonderful Town captures the thrill of chasing one’s dreams like no other musical. For more information on sponsorship and to purchase season tickets visit our tickets page.